Fumika Narutaki is an energetic young girl. She has an identical twin sister, Fuka. The two often get confused by both teachers and peers. In one episode, the twins drag Negi all around the campus and beyond, being strong members of the walking club, when Negi wanted to visit a simple shrine! Fumika is troublesome, peppy, and hyperactive, but in a good way. She enjoys her life at Mahora, and as nearly all other girls in 2A, has at least a little crush on Negi. 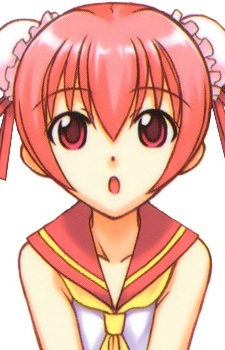 Note: In some pictures her eye color matches that of her sister, Fuka, but in others (including ones found on the official Negima website) Fumika's eye color is more of a blue color.